Make it private. We have variety of rooms to cater for party sizes up to 25.. Located in the heart of the CBD, in the iconic CHIJMES. This heritage site is convenient for a business lunch or corporate dinner. Experience local hospitality and a diverse menu that reflects the Truly Singaporean palate. New Ubin Seafood was founded on the North Shore of Pulau Ubin and has made its way through many locations before settling on the two outlets we have now; a cze char eatery at Hillview and a restaurant at CHIJMES. Our menu has grown from having only traditional cze char seafood to encompassing contemporary creations like USDA Black Angus “Choice” Rib-Eye with “Heart Attack” Fried Rice and Claypot Carbonara with Smoked Pork. We are a two-generation, Singaporean family who have been running the business for over a decade and are now looking to grow the brand, while retaining our roots in tradition. We view ourselves as the custodians and beneficiaries of an amazingly rich Singaporean food culture. We seek to preserve the old favourites we know and love, while we continue to innovate and experiment to move Singapore cuisine forward. What dishes can I expect in a Truly Singaporean menu? If you are hosting overseas guests, you can take them on a Truly Singaporean Voyage, with our ‘best of Singapore’ menu. This diverse menu features local favourites such as Chicken Rice, Nasi Lemak and Mutton Briyani. Would you be able to accommodate different types of food requirements? Yes, we can customise a menu to meet most dietary requirements. Please inform us in advance so that we can curate an experience that all diners can enjoy. How big a group can you accommodate ? We have rooms of different sizes for up to 25 people, and for bigger groups we are able to accommodate you in suitable sections of our main dining area. Please contact us for details. Do you have facilities for team meetings and presentations? We have private rooms of various sizes and can make a 50-inch TV and sound system available to you. Please feel free to drop us a line and we will be very happy to assist. 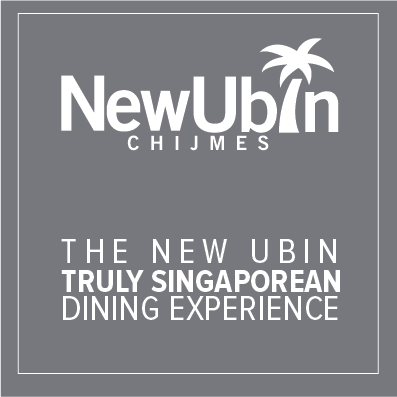 Complete the form below and look forward to a Truly Singaporean dining experience at New Ubin, CHIJMES.